The Glass and Glazing Federation (GGF) is continuously reviewing its offering for companies in the home improvement sector with GGF Members enjoying more support than ever. Re-launched the GGF Consumer Code of Practice to ensure it fully met with new legislation such as the Consumer Rights Act. The Code was approved by the Chartered Trading Standards Institute in 2016. The only code in the industry to achieve this status. Launched MyGlazing.com – a consumer advice website that has now been visited by over 450,000 homeowners and is arguably the fastest growing consumer website for the glazing home improvement sector. Improved its Deposit Indemnity Scheme to cover £12,500 or 50% of the contract (whichever is less) to reassure homeowners that they are protected in event of a Member company going into administration or liquidation. Upgraded its Conciliation Service to provide greater help for companies wanting to resolves disputes with customers and avoid arbitration or court cases. Launched a PR Campaign “Window with a View” that has reached over 80 million consumers in local, national and mainstream media. 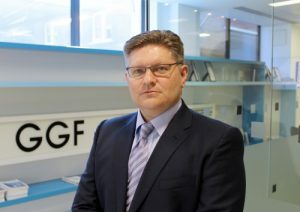 In addition to their successful consumer PR and online services, the GGF’s technical, health and safety and training services and publications are also being used frequently by consumer facing Members who need on-hand guidance and advice. This year will also see the GGF unveil its new installer training courses and the launch of a new online conciliation portal to make it even easier for consumers to resolve disputes with companies. On behalf of its Members the GGF continues to work closer with bodies like Citizens’ Advice, Chartered Trading Standards Institute and with Government departments to ensure Members are up to speed on legislative and policy changes. If you sell directly to consumers, the GGF support package is both comprehensive and unrivalled for the home improvement sector.